NDA (I) 2018 Final Result has been declared. Click here to check result. NDA Foundation Batches: Join Special NDA Classroom Course For 1-Year & 2-Year (Schooling + Hostel + Tuition) For +1 & +2 NDA Foundation Regular Classes. Aim Achiever is a top-notch coaching institute for NDA (National Defence Academy) entrance examination preparation in Chandigarh. The NDA exam is your pass to a fruitful career in Indian Defence Services. Thousands of students appear in the NDA exams every year but only a few get selected based on their performance in the test. If you are passionate to clear the NDA exam, Aim Achiever can guide you through the same and with perseverance and sincere effort, success can be assured. Aim Achiever provides the best NDA coaching in Chandigarh with faculty that has both expertise and experience in coaching students for clearing this exam. We work hard with every student enrolled to not just provide the best possible training and guidance for the exam but also prepare them well by organizing mock tests at pre-scheduled time. Our experience in coaching students for NDA exam and the research over several years has helped us build the best coaching methods that can help students clear the exam in top merit easily. This is the reason; we are considered the No. 1 institutes for NDA coaching in Chandigarh. Why should you choose us for NDA coaching in Chandigarh? Consists of: On Mathematics of +1 and +2 level that includes Trigonometry, Analytical geometry, Algebra, Probability, Vector, Differential & Analytical calculus, Matrices and determinants. Consists of: General Knowledge and General English that includes History, Indian Polity, Physics, Chemistry. Biology. Economy. Geography. Current Affairs and English. >>Consistent time management: Since the students are required to complete the set of questions in a limited time in the entrance exam, it is vital for them to strategize well and be consistent in time management. We at Aim Achiever inculcate this habit since beginning of the course and encourage students to devote appropriate allocated time for each subject. Our focus is always that the students cover all the topics effectively. >>Pushing the limits: Our expert faculty at Aim Achiever always encourage students to push their limits beyond what they have already achieved. There shall be no stopping at any given time. We are considered the best institute for NDA coaching in Chandigarh because we assist our students in not its identifying their best abilities but also in raising the bar upon every single achievement. 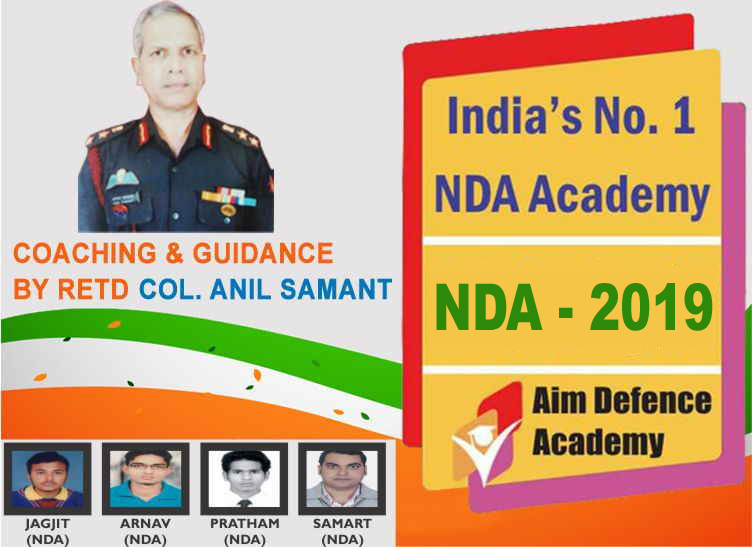 >>Overall Focus: Unlike other institutes providing NDA coaching in Chandigarh, Aim Achiever focuses on the overall goal to become an NDA officer. For this students are not just prepared for the written examination but also on physical fitness and other small things that needs attention since beginning. >>Exceptional Preparation: Our years of experience in coaching for NDA entrance exam and thorough research over the years by our expert faculty has helped us develop the best study material and strategy for clearing the exam. As we give individual attention to each student, we can proudly say that Aim achiever’s students always come out with flying colours in the NDA exam. Who can apply for the NDA Examination? NDA examination is open only for unmarried male students who are in the age group of 16.5 years to 19 years on the date on joining the NDA. I am from arts/Commerce stream, can I still give the NDA paper? Yes, NDA exam is open for any stream. However, the structure of the paper requires students to be apt with Mathematics. Thus if you are not from the science stream, it becomes difficult to clear paper-1 and the paper -2 is not checked. This makes it difficult for arts and commerce students to clear the NDA exam. We advice such students to either take up separate maths coaching an see if they can cope with the difficulty levels of paper-1 or use graduation through CDS (Combined Defence Services) exam. Which language do you use as the base for coaching? 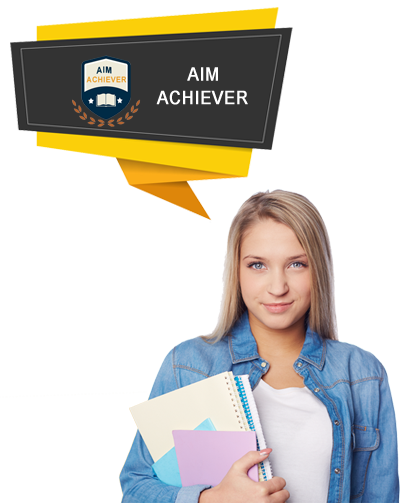 We at Aim Achiever’s use English as the base language for preparation of the NDA exam. The reason behind this is that for becoming an NDA officer, a student needs to crack not just the written exam but also the interview, post that. Thus command over English language is very much necessary and this needs to be inculcated right from the beginning, so that the students do not face any difficulties at a later stage. Every institute claims to be the best. 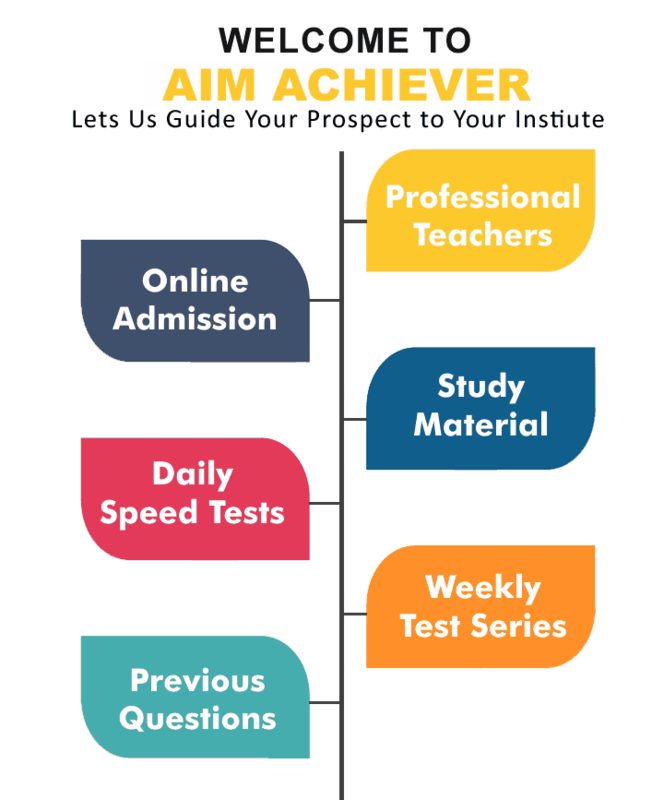 Why should I choose Aim Achiever? Aim Achiever is rated as the best institute for NDA coaching in Chandigarh based on the years of flawless results achieved and the continuous support of our experienced faculty. The goodwill and brand of our institute is unquestionable base on the phenomenal past records. Moreover, our fee structure is very affordable as we believe in serving the country through our students. Do you offer any 1 year or 2 year courses for NDA Coaching? Yes, Aim Achiever offers special foundational courses for one year and two years that includes schooling, hostel provision and tuitions. What all exam centres are provisioned for the NDA written exam? The exam centres generally include: Agartala, Ahmedabad, Aizawl, Allahabad, Bangalore, Bareilly, Bhopal, Chandigarh, Chennai, Cuttack, Dehradun, Delhi, Dharwad, Dispur, Gangtok, Hyderabad, Imphal, Itanagar, Jaipur, Jammu, Jorhat, Kochi, Kohima, Kolkata, Lucknow, Madurai, Mumbai, Nagpur, Panaji (Goa), Patna, Port Blair, Raipur, Ranchi, Sambalpur, Shillong, Shimla, Srinagar, Thiruvananthapuram, Tirupati, Udaipur and Vishakhapatnam in alphabetical order. Though this might be subject to change from respective authorities.